After the success of Seville Quarter in Pensacola, Bob Snow became convinced the formula could be repeated elsewhere, perhaps in a bigger marketplace. Upon learning that Walt Disney had selected Orlando, Florida for his next “Disneyland” Bob set off for Central Florida and the rest is history. 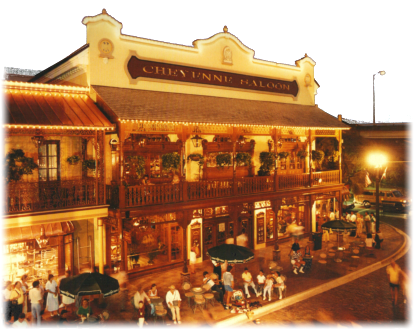 Church Street Station soon became downtown Orlando’s premier entertainment complex with superb dining, shopping, and entertainment. Music included Dixieland jazz, country and western, bluegrass, top 40 hits, plus there was a variety of other restaurants and unique shops. The attraction had five spectacular showrooms with entertainment for everyone: Rosie O’Grady’s with strumming banjos, the Goodtime Jazz Band, Charleston dancers, singing waiters, and can-can dancers on the bar; Apple Annie’s Courtyard which was a Victorian garden specializing in frozen drinks; Phineas Phogg’s Balloon Works featuring the day’s top 40 hits surrounded by décor honoring famous balloonists and their historic flights; The Cheyenne Saloon and Opera House featured country and western music Grand Old Opry style and almost every famous country singer of the day performed there; and the Orchid Garden Ballroom which was a beautiful show room with live music from the ‘50s thru the ‘90s. The restaurants were incredible. Lili Marlene’s Aviator’s Pub and Restaurant catered to the connoisseur of fine dining and featured aged beef and fresh seafood; The Cheyenne Barbeque Restaurant featured beef, pork, and chicken barbeque as well as buffalo burgers; Crackers Oyster Bar served fresh Florida seafood and pasta specialties; Rosie O’Grady’s served deli sandwiches, New Orleans Po- Boys, and Red Hots (hot dogs) in the Gay ‘90s Sandwich Parlour; The Wine Cellar stocked more than 4,000 bottles of fine wine and offered daily tastings from selected vineyards; and The Exchange Food Pavilion featured fast convenient foods. The Church Street Station Exchange was a 125,000 square foot shopping complex designed to appeal to both tourists and locals alike with more than 60 specialty shops and restaurants in a beautiful Victorian atmosphere. 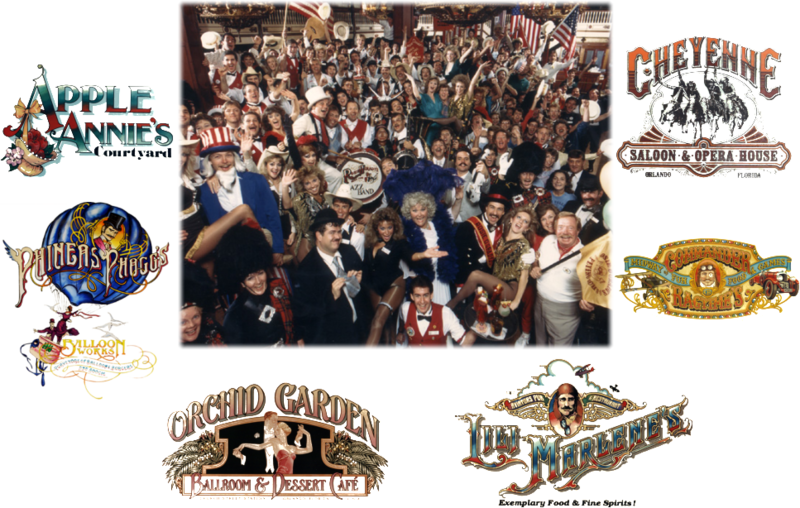 Commander Ragtime’s Midway of Fun, Food and Games had a carnival- like feeling with high-tech video games and circus memorabilia. 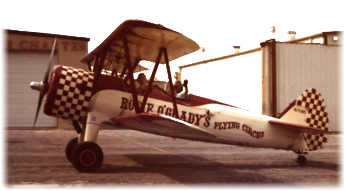 Rosie O’Grady’s Flying Circus was the official “airline” of Church Street Station and consisted of six classic planes, gas balloons and hot-air balloons. The skies above Orlando were always entertaining with Joe Kittinger and Bob Snow’s skywriting and banner towing. Rosie O’Grady’s Flying Circus’ hot air balloons offered guests a champagne balloon flight guided by expert professional pilots. Upon return to Church Street Station, guests would enjoy a champagne brunch in Lili Marlene’s Aviator’s Pub and Restaurant. Church Street Station became the hallmark of downtown Orlando. Walt Disney World was 45 minutes south of town and the downtown area was in desperate need of revitalization. Hotels were springing up all around the Disney attraction and the city of Orlando itself was anemic at best. Bob recognized the potential of a blighted area of downtown next to the I-4 overpass. In 1970, this section of town consisted of run-down buildings and an old train station. Five years later, Bob’s Church Street Station was drawing over 4 million tourists away from the Disney and Sea World attractions and contributing the much needed millions of dollars to the local city economy. Later, Mayor Bill Frederick would say that Bob Snow did more for downtown Orlando, Florida than Disney. At one point, the attraction employed over 900 people.